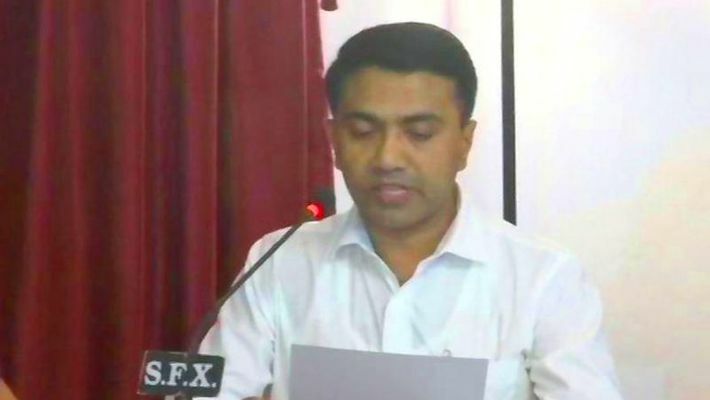 Panaji: The new Goa Chief Minister, Pramod Sawant, on Wednesday will face the floor test in the state Assembly to prove his majority. As per the power-sharing arrangement reached by the BJP with allies, an MLA each from the two smaller parties backing the saffron party — GFP chief Vijai Sardesai and MGP's Sudin Dhavalikar — were made deputy chief minister. It is for the first time that a tiny state like Goa has two deputy chief ministers. BJP president Amit Shah and Union minister Nitin Gadkari played a critical behind-the-scenes role in ensuring that the party retained power in Goa, sources familiar with the developments said.